It's hard to believe that it has taken 7 months for me to sit down and actually write out Lilla's birth story. I have tried a few separate times to compose her birth story here, but the words just wouldn't come. It was hard revisiting that night, I couldn't articulate my feelings and I don't think I was quite ready to share them yet. You see, when I had my two boys, everything with labor/delivery went pretty darn near close to absolutely perfect and sharing their birth stories was something I couldn't wait to do. A celebration of words, I could reminisce and revel in how magical their entrances to the world were (as they were, hands down, some of the most special days of my life). So, of course, as I prepared for the birth of my final baby, a little girl!, I expected nothing else but pure and utter magic- just like the two times before. I had it all worked out in my mind... I knew exactly what it was going to be like... it was going to be sparkly and magical, and I couldn't wait to experience it all over again. 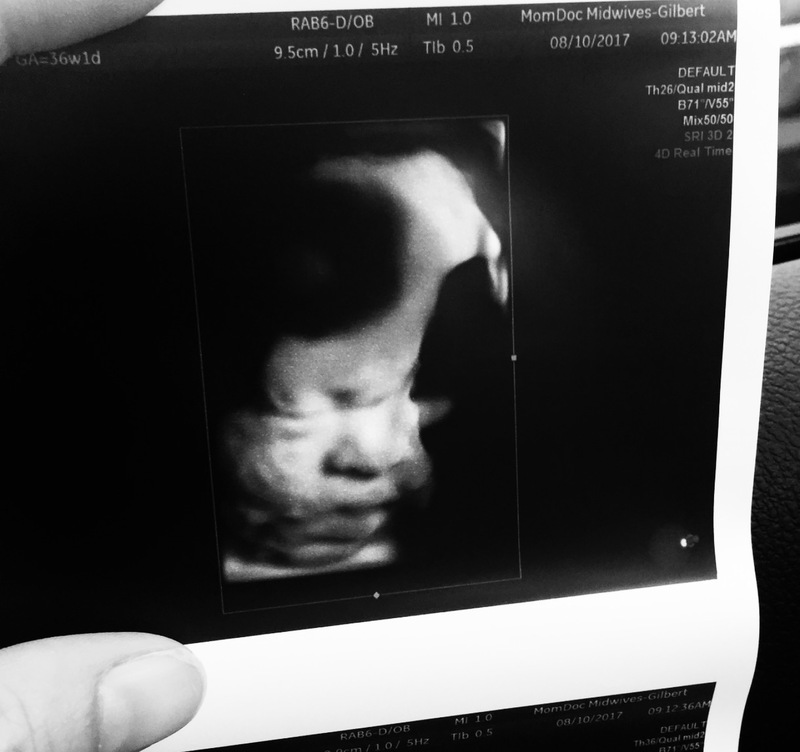 On the morning of August 10th, 2017, I had my 36 week ultrasound. 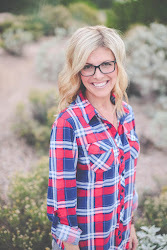 Even though my body was feeling kind of funny, nothing was out of the ordinary and we left that appointment expecting to go at least another week or two (as I did with both my boys). They said I had a lot of fluid and the baby had a big head, but there was nothing to worry about. Later that day at about 4pm, Lex and I decide to run errands. We hop in the car and we're driving up busy thoroughfare, going 50mph, when all of the sudden GUSH! And it is literally no joke. Lots of it, and fast! His eyes get big... “HUH? !” He takes off his shirt and throws it to me. I use it to wipe the seat. I have no idea why I thought this would help? It’s totally drenched and the water is still a comin'! “WHAT? !” He yelled back with even bigger eyes and a laugh. He strips down and chucks me his pants. So there we were, standing in a public parking lot right outside of a children's daycare- Lex naked, all but his red plaid boxers and tennis shoes, while I’m still losing water and frantically using his pants to wipe the seat. It didn't take long for me to decide that this whole idea is pointless, so we hop back in the car and drive home as fast as we can (a memory he and I will laugh about forever! And let me add... those WeatherTech floor protectors are legit! I installed them in my car a month or so prior and they really CAN hold “big gulp” amounts of liquid as portrayed in the infomercials). So we get home, clean out the car, call my mom and wait for her to come over to watch the kids. It's absolutely crazy and hectic and we're all laughing and running around trying to get everything ready. Seth throws a mound of towels on his seat, we chuck our bags in the car, kiss the kids good bye and off to the hospital we go! "Uhhhh. I'm starving. It's going to be a long night and I haven't eaten anything today. Wanna grab some food?" As we're driving to the hospital and Seth is eating his dollar menu Dorito Burritos, I tell him to be prepared just in case our little one needs some help with breathing after she's born. I'm not sure why I even felt the impression to say that (it's not like she was THAT premature) but I did- and I kind of believe I was being "prepared" for what was about to unfold. We got to the hospital at 7pm and my midwife (Tiffany, who we had seen earlier that day at our appointment) was surprised to see me being wheeled through the door. But! 36 weeks wasn't too early, so we weren't overly concerned- just anxious and excited and ready to meet our daughter. Triage checked me out and I was dilated to a 2 at that point so we decided to walk the halls and hope for some progress. The hospital was totally full that night so walked and walked some more- a few hours even. Seth had me giggling to the point that I was buckled over, almost peeing in my gown. Just as the contractions started coming on stronger, a room finally a room opened up and I told the nurse that THE most important thing was that I get an epidural well in advanced because when Julian was born, I didn't get an epidural until 30 minutes before he was born (because the anesthesiologist had an emergency c-section to attend to). By 10pm I was dilated to a 6.5 and contractions were coming FAST and I was MORE than ready for the epidural. I told the nurse it was time. "Oh, Jacy! I am SO sorry! 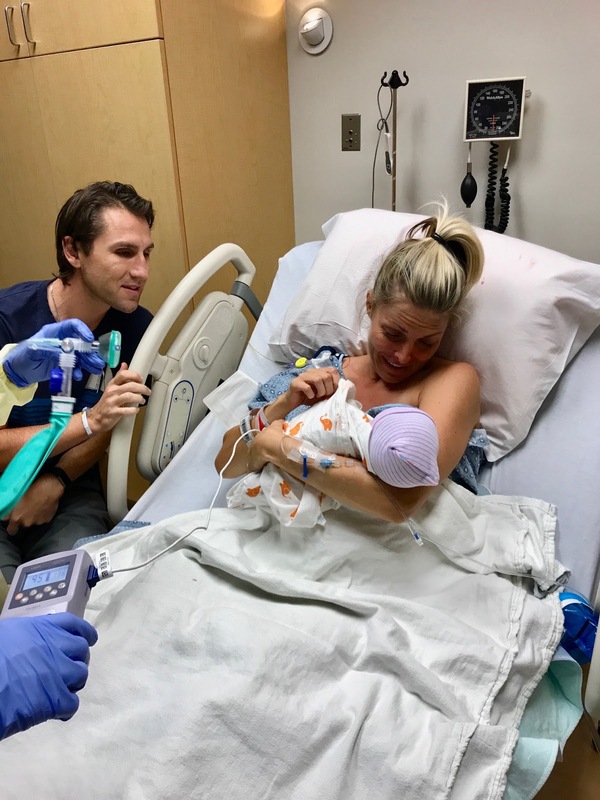 He literally just ran into the OR for an emergency c-section, which means it'll be at least an HOUR and 15 minutes until he can be in here." For real??!?!?!?! AGAIN!?!?!?!?! You have got to be kidding me? I think I began to cry at that point. So there I was on my hands and knees, cat-cowing it on the hospital bed for an hour: trembling in pain, crying, moaning and groaning with ZERO shame, hollering things like, "I did NOT prepare for natural childbirth! Where is he? No more! Please no more!" They check me again and this time, I'm dilated to 8.5 and I am legitimately FREAKING OUT that I won't get the epidural in time. But at 11pm the anesthesiologist FINALLY walks in! I think I called him a "badass" at one point for making it, quite literally, right in the nick of time! So he gets the shot in at 11:10pm and I am finally laying on my back in the bed and that's when I notice no one is really around me anymore... they're all focused on Seth... WHY? Because he's sitting down in a chair across the room, his head drooping down, trying not to pass out. He says he's squeamish seeing me in so much pain and apparently the idea of a huge needle going deep into my back made him woozy. Meanwhile I'm instantly shaking like crazy from the epidural and I feel an intense painful pressure. They do a quick check and within just those few minutes, I'm fully dilated. Seth gets up, looking a little peaked, and comes to my side. The midwives suit up in a flash and my heart begins to race! This is the moment I've been dreaming about for 9 months. I'm excited and scared and I say, "SETH! We are going to have 3 kids!? 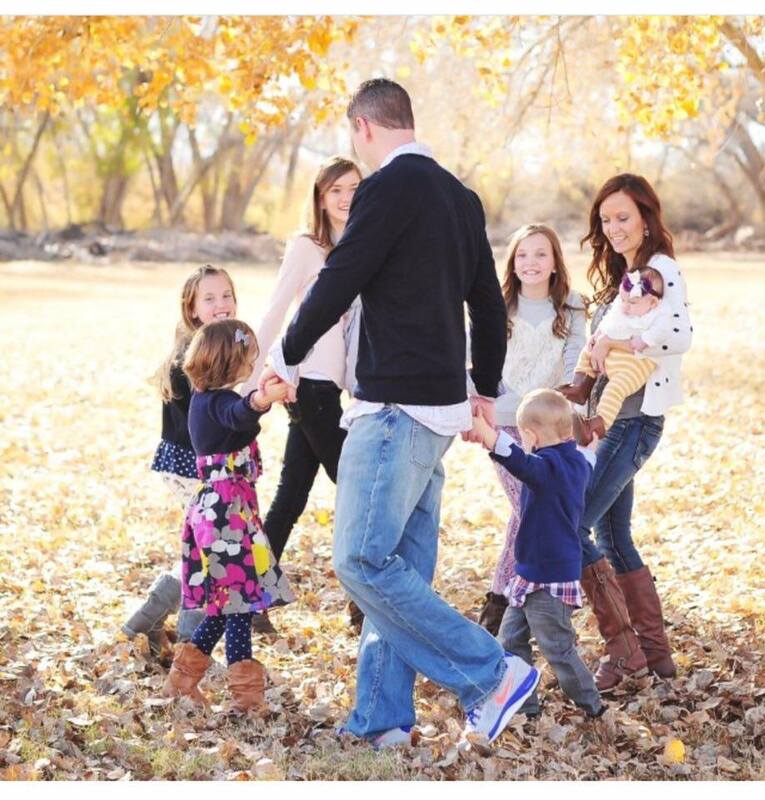 Can we handle THREE kids?" The feeling in the room was one of anticipation and happiness... but then everything changed. The mood, the dynamic, all of it. 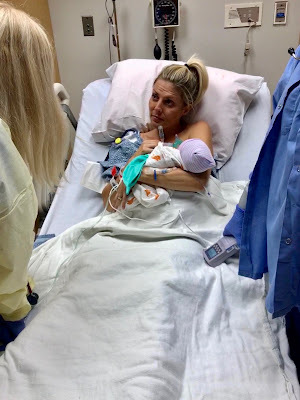 After just a few pushes, I hear loud beeping (baby's heart decelerations) and my nurse grabs the oxygen, puts it on my face and says boldly, "Jacy, you have got to push this baby out. Like NOW! Push. Her. Out. Come on, Jacy, push her out! You've got to do it NOW!" I didn't know what was happening... but I could sense that it wasn't good. The room was full of people and it seemed more and more people were running in as each moment passed. I was trying so hard to bring her into the world and I was so scared. After only about 10 minutes of pushing, at 11:27pm my little Lilla Vann was born. They put her on my chest for only a split second and when I went to touch her, I heard "Hold on, mom" and just like that, they cut her cord before we even knew it and rushed her across the room. After that it is all a really big blur. Neither Seth or I can really remember what happened next. Seth made sure I was okay after childbirth and went over to where Lilla was- surrounded by nurses and the doctor. I remember as I was delivering the afterbirth stuff, I wasn't hearing her cry and kept asking if Lilla was okay. My midwives kept me calm and told me that everything would be okay. I'm so grateful for their care and calm demeanor during that time. After what felt like forever (probably only 10 minutes or so), the nurses swaddled our precious tiny human, placed her in my arms and handed a breathing treatment to keep over her mouth. As Seth and I studied her little features, the doctor sat at the edge of my bed and tried to explain everything that was happening with Lilla's lungs, but I didn't hear a single word she said. Not one. I acted like I did, but I didn't. All I could see was her perfect face- I could see so much of my great-grandmother Lillian in her. We were able to spend 5 minutes with Lilla before she was rushed to the nursery and about 10 minutes or so after that, everyone in the room was gone. It was silent. Just me and Seth. Looking at one another, both pretty shaken by what had just happened. It was so surreal. Such a whirlwind. The nurse told us to try and rest and that she'd be back in a few hours to take us to see her. We tried, but let's get real.... neither of us had any luck. All we could think about was Lilla. At 3am it was time to see our baby girl again and we were warned that she'd have all sorts of things on her face and not to be alarmed. Of course I bawled my eyes out when I saw her... because I couldn't even see her under all the stuff... and I was so worried about her. Here we talked to the doctor for another 40 minutes, going over everything that was happening and her treatment plan. We were trying to be strong and "happy" but we were both scared out of our minds. 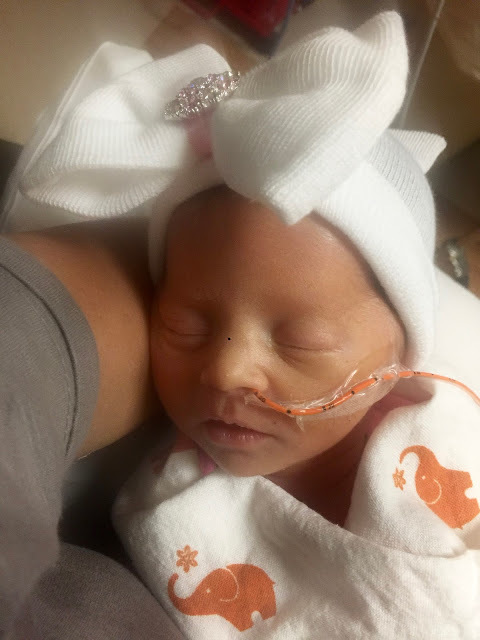 We were told that Lilla wasn't responding to the medicine as well as they had hoped and there was a high likelihood that she'd need to be transported to another hospital- but they wanted to give it a few hours to be sure. At 6am, we went back into the nursery after more treatments and this time, I was very taken back by how my sweet baby looked. I was hoping we'd see improvements but instead, I found her almost unrecognizable and it was so heartbreaking to see her this way. She looked so uncomfortable, like everything hurt, and it made it that much more frightening. A few hours later, the doctors had concluded that Lilla needed to be transported to a more equipped NICU where she would intubated for premature lungs. 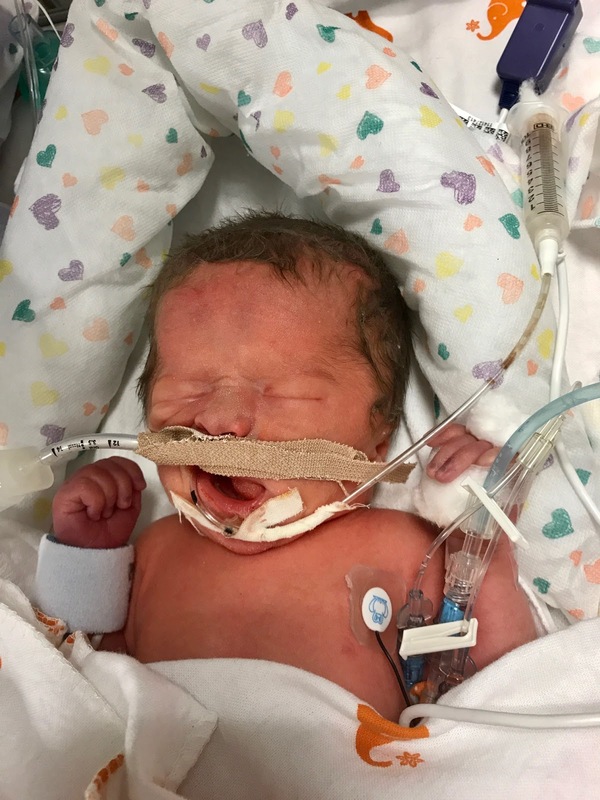 I watched with tears streaming down my cheeks as the paramedics wheeled her incubator into the elevator, where they'd load her up in the ambulance and drive her an hour away to St. Jo's hospital. I specifically remember one of the nurses giving me a big hug and telling me I was brave and strong and that they'd take good care of her. I found so much comfort in her empathy in that moment. And that was it. 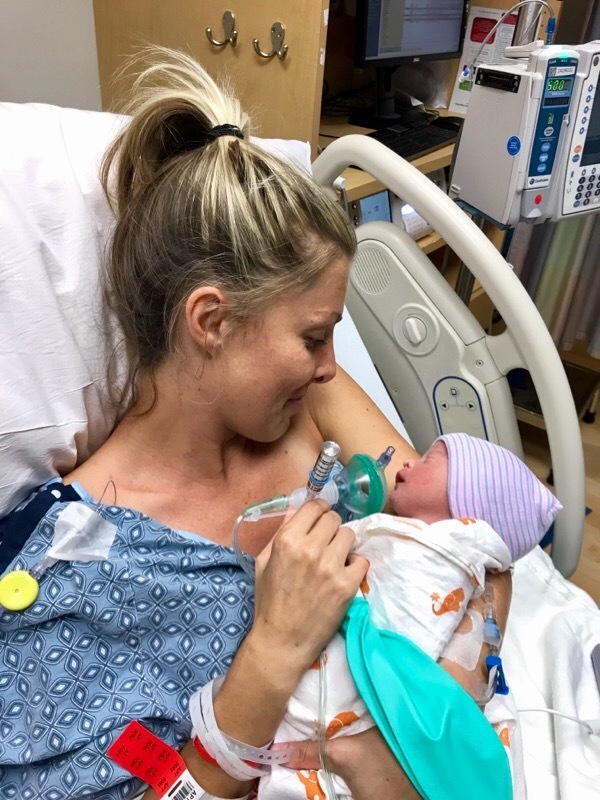 What felt like an abrupt and unexpected ending to her birth story, and the beginning of one of the hardest experiences of my life. 32 days in the NICU. 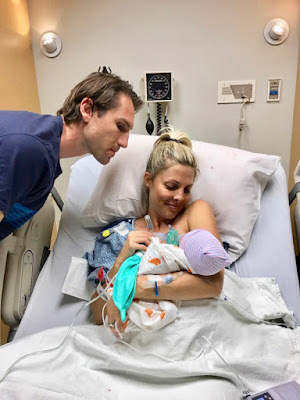 It was all so foreign and I have so much more to write and share about the lessons I learned during that time... but for now, I wanted to document her birth story so I never forget it. August 10th, 2017 was a night I will never ever forget. A night I hold so very close to my heart, but also a night I reflect back on with tempered fondness. Because while it was so beautiful and miraculous, is was so very scary and so uncertain. I still experience some PTSD when I think about it, or look at the pictures for too long. Even driving by the hospital can trigger feelings of anxiousness sometimes. But my little Lilla is MORE than I ever could've ever imagined. She has proven to me over and over and over again that nothing will stop her. And she is the most precious and healing prize... and every single day I get with her is a gift. Depression, Addiction, and Suicidal Thoughts: How Are They Connected? Alcohol abuse is known to be a factor in about a quarter of all suicides. Alcohol is used before death in about a third of all suicides. Of course, other substances can be involved in suicide attempts but with alcohol’s social acceptability, it is far easier to access and abuse without suspicion. Depression also plays a very common role in many suicide attempts. The hopelessness and despair are often among the main reasons people choose to end their lives. But how are the three so interconnected? If you are concerned about a loved one’s wellbeing, here is a little information on how depression, addiction, and suicide go hand in hand. Self-medication is a common problem in people with all types of mental illness. It simply means that a person is abusing a substance in an attempt to control their symptoms. Often, this means that the person is going untreated for their mental illness. With depression, many people will abuse alcohol or other substances in order to feel happy again, if only temporarily. While it may seem to work for a few hours, alcohol abuse will actually worsen symptoms of depression, creating further perceived need to self-medicate. As the self-medication continues and the depression worsens, suicidal thoughts become much more likely. Suicidal thoughts tend to occur with untreated depression. If a person is not actively working to counteract the effects of depression, eventually, they will likely experience suicidal thoughts. Some mild forms of depression can be managed at home with supplements, exercise, and healthy eating, but clinical depression is a visible chemical imbalance which requires medication to correct. Without restoring the balance of chemicals, there is an increased chance for suicidal thoughts and actions to set in. The moment you recognize suicidal thoughts in a loved one, urge them to seek help. It is far more common for the condition to become worse than it is to get spontaneously better. If you have ever consumed alcohol, you’re probably aware that it tends to lower inhibitions, and your actions become far less thought out. This is exactly the reason alcohol is found to be a part of so many suicides. For some, the alcohol is used to make what they are planning to do easier. For others, the alcohol abuse can trigger a suicidal thought, leaving it much easier for them to act on it. With the high risk of self-medication in people with depression, alcohol abuse can be deadly. If you notice a loved one abusing alcohol or any other substance, seek help. If a substance abuse problem is left untreated, it can rapidly become worse. Substance abuse, depression, and suicide are all interconnected in one way or another. Someone who has untreated depression and self-medicates is at a very high risk for suicide. If you know someone who has symptoms of any of these conditions, it is critical that they receive help. Untreated depression, addiction, and suicidal thoughts can all have very dire consequences. Do not take chances. Get help as soon as possible and prevent a possible tragedy. About this time last year, a sweet woman, here in Gilbert, Arizona, named Cherish accidentally left her baby in a shopping cart. As I watched numerous people posting horrific things about this mama, I couldn't stay silent another moment. I felt the need to share a few of my thoughts (you can read them here if you'd like). Having no idea how far and wide my post would spread on Facebook, I was absolutely stunned when hundreds of beautiful comments and messages of sisterhood, encouragement and support flooded my feed. I even connected with and made a few new friends out of it. "Your mother should have left you in a hot car to die." Pretty soon, as each and every "like" or comment notification appeared on my screen, I felt like I was going to have a nervous breakdown. It was very seriously one of the strangest and sad experiences of my life… to be so targeted and so judged, by people who didn't even know me…. and I wasn't even getting a fraction of the hate that Cherish was receiving. I contemplated deleting the post many times. I bawled to my husband because the meanness hurt so much. And I hated that social media could be used in such a malicious way. But I decided to keep it up because I knew that soon enough, my post, and the horrific backlash Cherish received, would be over and forgotten. Fast forward to today: The experience led me to some amazing people and one in particular who asked to share her story anonymously, but POWERFUL nonetheless. We all have certain moments that define us, moments that when we look back on our life, those will stand out. To strip it down to bare bones, it’s comprised of good days and bad days. Have you had a day that you can say was honestly the worst day of your life? Depending on where you are in life, you might be blessed to be able to say that you have not experienced that worst day yet. I have. It was not even 1 year ago. Here is my story. I almost killed my son. I almost killed my happy, smiling, joyful, sweet son. The last piece of the puzzle, he completed our family and I almost took that away. I forgot him. Or as the experts say I “misremembered” him. I am that mom. I left him in my car, in the direct sunlight, in the 90 degree heat. I left him there strapped into his safe, rear facing car seat to bake. His body temperature rising, alone and crying for me. It was a Sunday. We skipped church. We slept in, we were exhausted from a busy family day the day before. My husband stayed home with the other kids to do some work around the house & I took my youngest with me to the grocery store so (ironically) he would be safe & out of the way. I took a different route to the store because I was on the phone. When I got to the store (still on the phone) I got out of the car & went into the store..just like that… I left him in the car. Once inside the store, I got off of the phone and began to shop. As I loaded our cart, I picked out his favorite applesauce and grabbed milk for him but didn’t remember him..yet. After what I estimate was about 8-10 min, I called my husband because I realized I had forgotten the credit card I wanted to use. About 1-2 min after hanging up the phone, I looked in the cart wondering where he was. For a second, I thought he was home with my husband…Typically when I got to the store, I have all of my kids with me OR they are all at home with my husband. I even frantically looked in the back of the cart where the groceries were and on the bottom (which is ridiculous because it wouldn’t be safe for him to be there but my brain was on overload). Then, it dawned on me… I.LEFT.HIM.IN.THE.CAR. I cannot explain the horrific feeling I had as I abandoned my shopping cart & ran towards my car. I am shaking, afraid, nauseated, praying. There are no real words to describe it. All l know is from the moment I realized he was in the car until he was in my arms was the worst feeling I have ever had. I am beginning to cry as I am running to him..saying aloud “what did I do, what did I do?” while I am fumbling for my keys. This is one of those moments you see in the movies when time stands still, when no matter how fast I go, he keeps getting further away from me. For a second I thought ..how am I going to tell his siblings I killed him? How in the world will I tell my husband what I did? As I get close to the car I hear his cry. Praise God! He is alive! I still cannot find my keys. I bang on the window. I dump out the diaper bag on the curb. I find my keys. I open the door…seeing him sweating, red faced and crying. It is an image I will never forget. It is burned into me. It is an image only I will have. That moment of realization that he was in the car..it's a moment that only I will have? That feeling is also burned into me. know the situation or see me like this. How could I strap him back into the car seat after that? I did. I cried, apologized repeatedly to my son and sang his favorite songs to him in the car on the drive home...you are my sunshine...the itsy bitsy spider...twinkle twinkle little star....singing and crying. Once we got home and everyone was safe and sound, I quickly realized I would never be the same after this. My son was okay. I was not. Shame, blame, guilt, confusion, anxiety and horrible thoughts plagued me in the days following. I KNEW I could never forgive myself. How could this happen? I thought about him while shopping. I put applesauce and milk in the cart FOR HIM! How did I do that and not realize he wasn’t with me? I had seen stories over the years about parents/caregivers that this happened to with a very different outcome. In fact, I would put my diaper bag behind my seat to keep from doing this very thing because I heard this tip on the news after a family tragically lost their child to vehicular heatstroke. On that day. I put my bag between my driver seat and front passenger seat. I didn’t need to turn around to get it, so I didn’t see him. I learned about something called Forgotten Baby Syndrome (Dr. David Diamond, neuroscientist Univ South Florida). Here is the watered down version. It is a failure of 2 systems in your brain that are competing. Your brain's “habit memory system” and the “prospective memory system”. Prospective memory is basically the planning & execution of an action (like planning to take a child to daycare/babysitter). Habit memory forms subconsciously through repeated actions that are performed automatically (the routine drive to work you make every day, brushing your teeth, etc). It “enables” us to be on auto-pilot. Have you ever arrived somewhere like work or a friend's house and thought “ how did I get here?” You don't really remember driving there. That is habit memory. Prospective Memory is processed by 2 brain structures, One of them, The Hippocampus stores new info (ie: The child is in the car). The other one is The Prefrontal Cortex enables us to plan for the future, accounts for change in routine (ie: it processes the route/drive…going to daycare instead of straight to work). In forgotten baby syndrome, the basal ganglia takes over & suppresses the prefrontal cortex so prospective memory & habit memory clash. It is the failure of your prospective memory & your habit memory is the winner. 2. Change in Routine (check! Skipped church, drove a diff way to store. Only took one child to the store and/or didn’t go to the store alone. I work a lot of weekends and this weekend my husband & I were both off together all weekend. 4. Distractions (Check! I was on my phone when I got out of the car. Rear facing car seats also contribute to this because prior to the 1990s car seats were not regulated to be rear facing or in the back. Now it is determined to be the safest place for your child but children often fall asleep in the car so you might get distracted and not remember they’re in there since they’re quiet. YES! You should still put them rear facing and in the back! Also infants/young children cannot regulate their body temperature very well. Their body overheats 3-5x faster than ours! Cars can heat up quickly, they can reach 125 degrees in minutes. 80% of the temperature increase happens in the first 10 minutes..
Cracking a window doesn’t help slow down the heating process or decrease the maximum temperature. This is why you should NEVER knowingly leave your child in the car, even for a few min..to run in to pay at the gas station or anything! Also, you could get car-jacked. This happens A LOT more than you think! This can happen in all seasons. Children have died in temps as low as 60 degrees! 30% of children lock themselves in the car. 12% of parents knew they left the child in the car. Put something in the backseat like a purse, bag, cell phone, shoe to remind you to open the backdoor when you park. You can’t get too far without your shoe! Keep a stuffed animal in the car seat, put it on the front seat as a visual reminder when babe is in the back seat. Ask your babysitter/childcare provider to phone you if your child has not arrived as scheduled. If a child goes missing IMMEDIATELY check the trunk and inside of vehicles carefully! If you see a child alone in a car, try to open the car & remove the child, break the window, call the police. You don’t know how long the child has been in the car. We are Christians and the day this happened my husband told me that God had a reason for this. In my heart I knew this but I was too consumed with grief and confusion to think it through. I now know that through my experience, I am supposed to educate others on vehicular heatstroke and car safety. 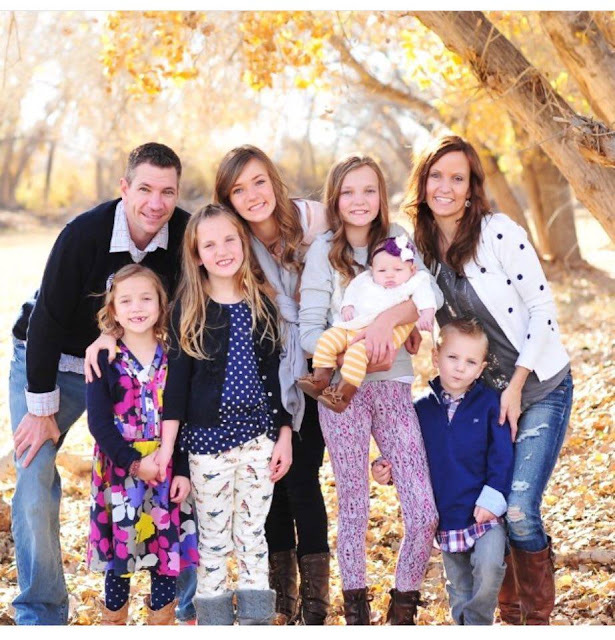 I have created a support group for other parents who have experienced this and other car tragedies. When parents “do this” and they “Forget their child in the car” it is a very hated and misunderstood issue and this is why it is so important to educate. Parents lash out at other parents & think it cant happen to them, they don't listen to the warnings and education. This breaks my heart. I am working on trying to be brave to tell my story so someone else does not have to. Although my sweet boys’ life was spared, this was still a traumatic event for me. I now know I can forgive myself. I still suffer from anxiety & I never really know when it is going to hit. I have bad dreams that wake me on many nights. Sometimes I have some mood swings that are unexplained. At night I sneak into his room, watch him sleep & thank God for him. Every time I strap him in his car seat I will be reminded. Every time I go to that store, or I am in my car on a hot day I will be reminded. Every time I hear a tragic story on the news where a child is lost to vehicular heatstroke/hyperthermia, I will be reminded. 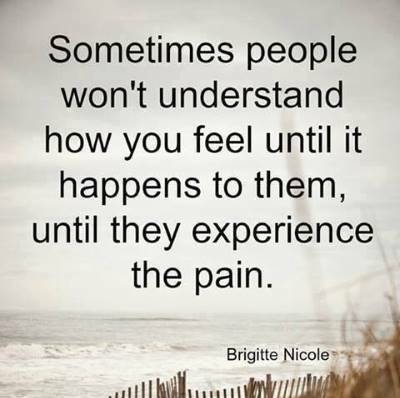 When I see a story of a parent facing charges because they too, had the perfect storm of events, I will be reminded. I will always see what his face looked like when I opened the car that day. I will always know that fear from that moment I realized he was in the car. It will all remind me. It will all remind me of God’s grace and plan. It will all remind me that for each one of those memories there a million mamas and daddies that need to hear my story. *Thanks so much to Jacy for allowing me the opportunity to share my story!!! *For more info on this issue or any other car safety issues or stats and tips go to KidsAndCars.org. If you didn't read the bittersweet announcement posted on The Togetherness Project's blog last week, you'll want to read it here. 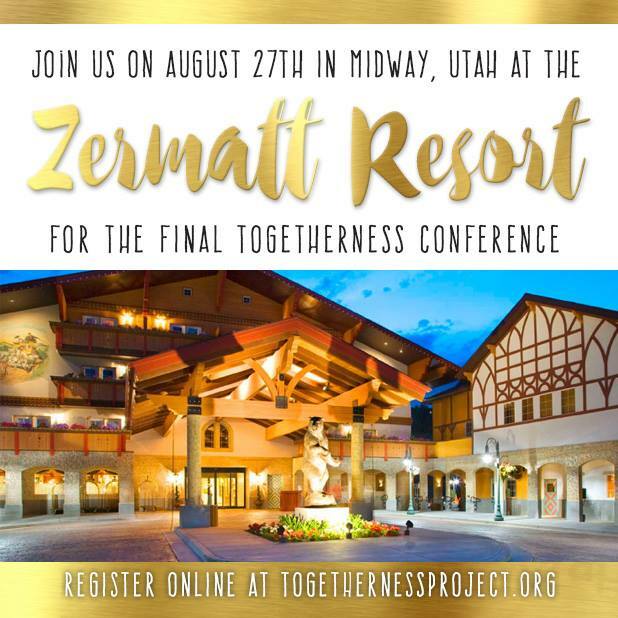 All that said, I hope you'll join us for our FINAL conference in Midway, Utah at the ZERMATT RESORT on AUGUST 27th, 2016! TO REGISTER OR FOR MORE DETAILS GO HERE. (2001) My heart seemed to stop as I watched a team of doctors load my baby on a gurney and close the ambulance doors as the lights flashed and the sirens blared. My 10-week-old baby needed emergency surgery to correct a bowel volvulus (blockage in her intestines). I was a young, first time mom. Being brave was my only option. (2004) I woke up and looked around, I knew where I was, I was alone and so afraid. A nurse noticed I was awake and she came to me. I quickly wiped the tears from my face as she kindly asked if I was in pain. "You were so brave," she said and I turned my head as the tears filled my eyes and I shook my head. Then she said something I've never forgotten and I didn't believe at the time, “You know being brave looks different on everyone." In some weird way I was at peace in knowing that it was okay to be afraid. I had just lost the baby I had been carrying for 18 weeks. 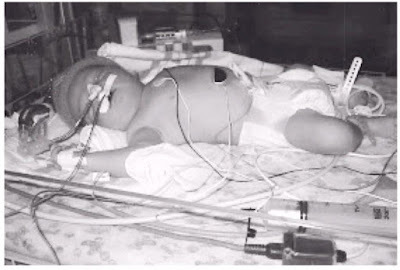 (2005) Shortly after delivering my third baby girl, she began the fight of her life. 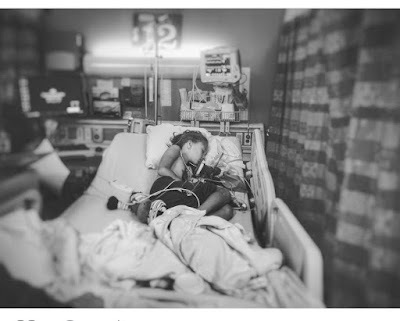 I watched as she struggled to take a breath - her lungs collapsed and she was put on a ventilator and had tubes put into her chest to evacuate the air. 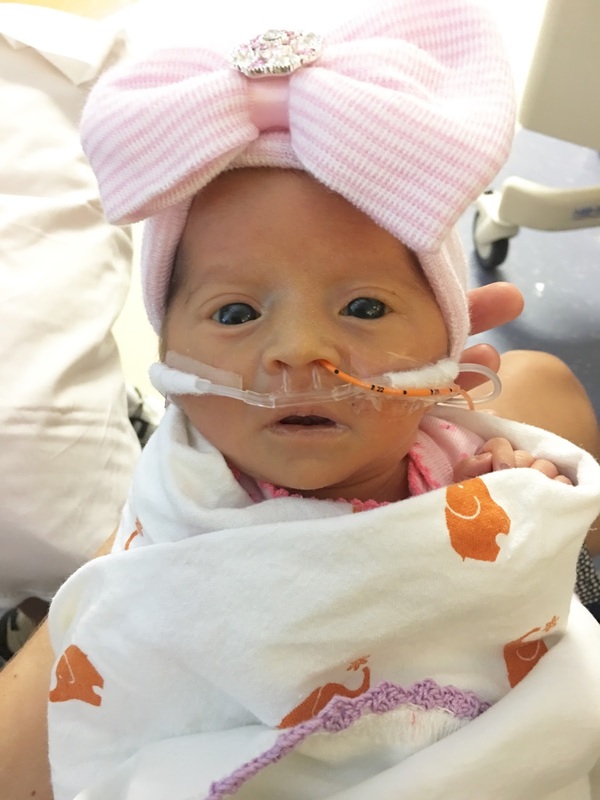 Another mom in the NICU told me, "Honey, you're braver than you believe." I sat every 3 hours on the hour on the hospital bathroom floor pumping any and every drop of milk I could and repeating those very words over and over. (2010) After 4 girls the doctor said "it's a boy! ", minutes later I hemorrhaged and, while on the hospital room floor, I struggled to stay conscious in a puddle of my own blood. (2011) I knew I could do it but I didn't want to, but I had to self-talk my way through a miscarriage at home. That day replays in my heart often. 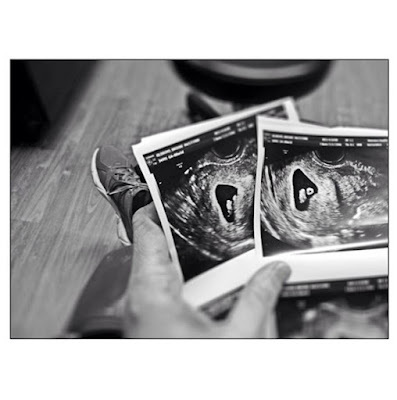 (2013) At an ultrasound of my last pregnancy, the identical twin sister no longer had a heartbeat. (2013) She came nearly without warning, forcing an all-natural delivery. I hemorrhaged. Twice. Somewhere in me I knew I'd be ok, but I had to keep reminding myself. Many years have come and gone and through experiences I've come to know what that nurse meant; that being brave doesn't mean you're not scared or afraid. Being brave is having that fear but finding a way through it. (2016) A few weeks ago at Primary Children's hospital, I hugged my little 8 year old girl tight and whispered, "it's okay baby, be so brave." She held on tight to me and cried out "mommy, mommy, mommy." The nurses took her away and I turned around as tears filled my eyes. She was so scared. So was I. Over the next 5 hours my baby would endure major cranial surgery, for the second time, this time closing 8 holes that had never closed from the surgery she had on her first birthday to correct craniosynostosis, a premature fusion of bones in her skull. My mind immediately began jumping from memory to memory. I was not a stranger to the waiting room. Being a parent makes you realize that the little people that you created deserve the very best of you. I remember a friend once telling me "you know you've gotta have the bad days so you can love the good days even more." Since the age of five (2012) my girl has also been fighting an incurable disease that is trying so hard to destroy her muscles and joints. I've prayed for bravery over and over and over. Being brave for someone else is the hardest thing I've ever had to do. Enduring and carrying on is not just a matter of tolerating circumstances and hanging in there, but of PRESSING FORWARD. I know that's what most of us find difficult --- to endure joyfully. Being brave is more about that glimmer of hope after the worst possible news. The golden light of sun after the worlds longest night. It's the way you continue on even though you can't figure out how. My name is Brooke and I am brave. *Please remember the purpose of the "My Name is" series is to open our hearts, to interact, to uplift, to support and to grow. 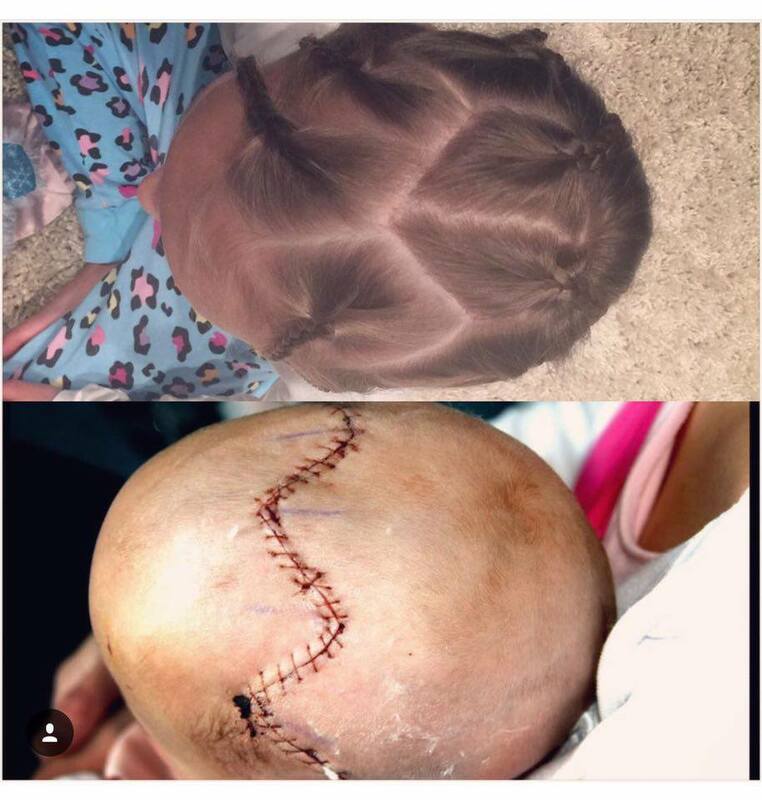 You can follow Brooke's inspirational journey on Instagram HERE. My name is Mia and I am not ashamed. Your memory is a monster; you forget, it doesn’t. It simply files things away; it keeps things for you or hides things from you and summons them to your recall with a will of its own. You think you have a memory, but it has you. How I got there was how I believe everyone who has ever gotten to the point of acting on suicide gets there: overwhelming pain. Suicide is more about a person wanting to end pain than it is about ending life. I couldn’t see out of my pain enough to believe that I could have life AND learn to deal with the pain. I had been living with overwhelming emotional pain for most of my life and had tried so many different ways to hold on and push through but I had reached my capacity to endure. The cause of such pain is as individual as the people experiencing it; for me that cause stemmed from the childhood sexual abuse I had experienced at the age of eleven and never told anyone about. My name is Mia and I am a survivor of childhood sexual abuse. However, this isn’t just my story. Childhood sexual abuse is the plague of our time but a plague we often choose to shy away from because the subject matter is hard or dark. I believe that the more we choose to look into the darkness, the less power it will have. When we refuse to believe it can happen, we allow those female pedophiles to carry on with their abuse because their cover is our inability to comprehend that they exist. They are free to hurt and damage because more than most they can say to their victims, “No one will believe you,” and they would be right. Sexual abuse carries along many other types of abuse in its wake – its very nature is that the abuse of the physical body also attacks and damages the heart, the mind, the soul. Damage comes sexually, physically, psychologically, emotionally, and mentally. I had been taught that danger came from strangers and that those strangers were men. What had happened was from people I knew, women I knew, and women who shared my same religious faith. I had been told during those traumatic days that it was my fault. They shamed me into believing that what had happened was my responsibility and that I was so dirty and wrong now that if I told anyone, they wouldn’t believe me. I thought my family would kick me out, my church would shun me, and … that I would be alone forever. My name is Mia and food has been my drug. I remember the first time I ate until the point of sickness. 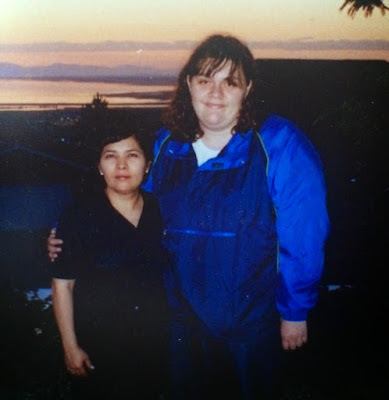 The women who had abused me were holding a barbeque for a couple families, mine included, only two weeks after the abuse happened. I hadn’t seen them since and I was terrified to be in their presence. I remember not wanting to go but not being able to say why, so the entire morning of the barbeque I was fighting and yelling with my mom about staying home. My mom said that it would be rude for us not to go after all they had done for me and so we were all going. I only remember feeling terrified that whole day, terrified and ashamed of what looking at those woman brought to my mind. At one point I was sitting at a table with some other kids my age and one of the women came over to the table and stood behind me, talking to those other kids, with her hand on my shoulder. In that moment I remember wishing I was dead. When she finally left I began to eat and kept going to the point of making myself violently ill. I was sick the rest of that evening. I am ashamed to admit that the barbeque was not the last time that I would use food as a way to cope with the emotional pain I was feeling. Eating eased my pain and kept me from reliving moments and memories that were too much to bear. I would eat in secret, normally at night when all others were asleep and I needed to push back the fear. 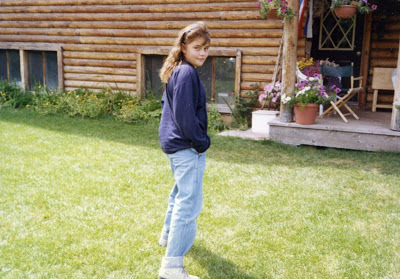 Sometimes it was binge eating and other times I was bulimic. My parents could see something was going on but I was good at convincing them that nothing really was wrong, that my behavior followed the pattern of normal early adolescents. I hold no judgment against my parents because hindsight is always our best teacher but if I could say anything to parents now it would be to watch what your children are not saying - watch the behavior. So much of how children express themselves with difficult emotion is through behavior because they don’t have the words or sometimes the ability to cognitively express what is happening to them. What else I would say is to talk to your children about emotions and feelings; help them to see that emotions are okay to have and to express, and that sometimes even adults feel a certain way and don’t know why. Model for your children as you work through emotions; you don’t have to give all the details of a situation but you can express, for example, that when they saw you angry that you also possibly felt fear, hurt, shame, or grief. My name is Mia and I am a survivor. Life will throw at all of us different events that we won’t believe we can survive. But that is not true because we can and we do survive. I ask you to think about your life; stop reading and look back upon all you have gone through and all the times you thought you couldn’t make it. The fact that you are reading this means you have survived! It doesn’t mean you might not struggle or feel broken or beaten down from time to time because you will and so will I; but it does mean you have risen each time you have been thrust down by life, when you didn’t believe you had it in you. A track record like that is something to grasp, to cling to and hold in your memory for the hard moments that will come again. I am still recovering from the fallout of all that experience of childhood sexual abuse has brought into my life and will probably face aspects of it for the rest of my life. 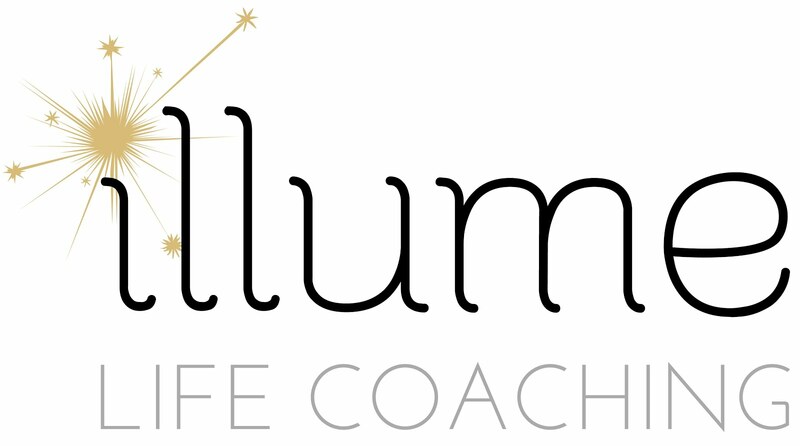 That is what trauma does—it colors an individual’s life throughout their lifespan. It is a thief that is never caught, that continues to steal parts of someone’s life long after the initial event has passed. What I have been trying to do since the day it happened was to move forward, but sometimes moving forward has been like running along a sandy beach; other times it has been like walking in quicksand. There is still much to say about trauma, about sexual abuse, about protecting children from that abuse and what we can all do. My suicide attempt and hospital stay were three years ago, and it doesn’t seem that long ago, but healing has come for me as I have begun to speak my shame and name my fears. My name is Mia and service helps me heal. I have gone on from my experience and have chosen to continue to fight that darkness. Last year I completed my master’s degree in Social Work. During my last year of internship I worked with an agency dedicated to practicing therapy with children who had experienced abuse or trauma, mainly sexual abuse. Some might think that doing that type of work would trigger my past experience but I can honestly say that none of what happened to me ever came up for me when I was working with a child, it was always about them. I never shared my background with any of the children or parents I worked with, but I do believe that my experience allowed me to have a level of empathy and understanding that came through in my work. I have since been hired to work for an organization that has clients struggling in many areas of their life: drug and alcohol addiction, homelessness, severe mental illness, domestic violence, unemployment. The work is hard but it is also rewarding. Through the experiences of my youth I never felt that I was seen. There is much that I can’t do for those I work with but I can listen and I can see them, see their pain and love them; loving someone in their weakness and pain is often more powerful than any words I can say. Healing has also come as I have begun to share my story; I write, I speak. I feel success in this comes if only one person feels less alone, who realizes that if I can speak my shame and hurt so can they. If you are hurting, if life is difficult for you or someone you love, I am so very sad, and I hope you know I am hurting for you and with you. It is okay to speak your truth; it is okay to share your story, whatever that story may be. You might not share it in a public setting as I have chosen to do, but if you can push past the fear and tell a friend, a family member, a church leader, spouse, a parent, a therapist, me, anyone—you will begin to see that shame is afraid of your words and the more you speak, the less it defines you. If there is one thing I have learned in my own experience and in listening to that of others, it is that no one is immune to pain, no one is immune to shame and what it can do if we allow shame to take root. You can be okay again; your children can be okay again. There is hope, there is healing, there is a way to deal with those parts of us that don’t heal exactly how we want them to. I won’t, and please don’t. Remember, the battle isn’t you against me —it’s you, me, and everyone else against pain, shame, fear, trauma, childhood sexual abuse, grief, addiction, sickness, infertility, inequality, domestic violence, human trafficking, and anything and everything else that seeks to destroy the soul and ruin the lives of men, women, and children the world over. My name is Mia and I am with you. ** Mia, the world is a better place because you're in it. Thank you for being so vulnerable and brave as you fight for light and love and hope and healing. You are changing lives and I'm so grateful our paths have crossed. To read more stories of inspiring women in the "My Name is" series, go HERE. Wife + Momma + Life Coach + Togetherness Project Director + Blogger + finding happiness, beauty and love, even when life doesn't go as planned.